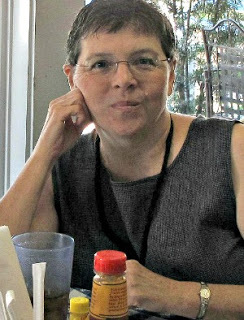 There’s nothing I like better, during this prelude to fall, than finding very frugal ways to celebrate the fall season. I had a yard full of acorns back in Texas. Now I’d have to go hunting for them! I also had lots of oak leaves. They were so pretty as they turned gold and orange and brown. You can make your own customized acorns! Isn’t this a clever idea? No, I didn’t think of it myself. But whoever did is very creative. I just love owls. I have a Pinterest board with birds and owls on it that I add to a lot. Click here to see. Just walk around and find yourself a pretty shaped leaf and use its imprint to create art! And if you love that candy corn that comes to your grocer’s shelves this time of year, you might like to make the craft above. I think it’s just precious. Tomorrow I’ll be back with a cupboard that last week was mint green. I couldn’t help it. I had to change the color. You’ll see tomorrow what I did! Some good ideas here, Brenda. I especially like the acorns made from eggs. 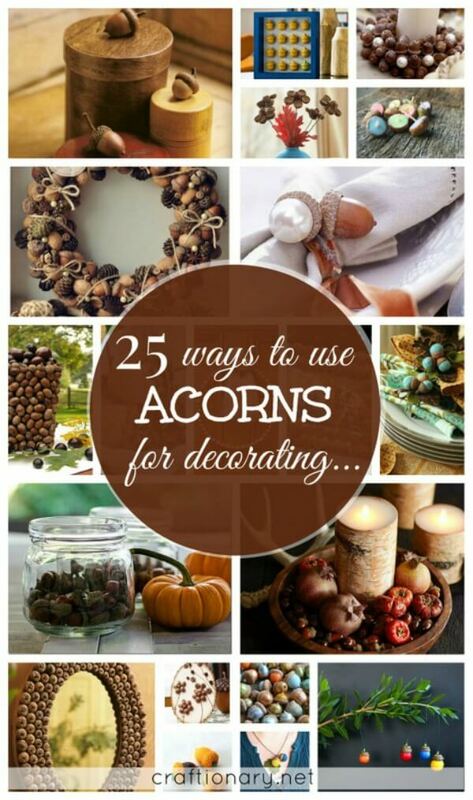 We don't have oak trees here, but I love acorns for my fall décor. Of course Owls are always cute. These are all so clever. I especially love those eggs redone. Like the egg idea and the leaf printing. 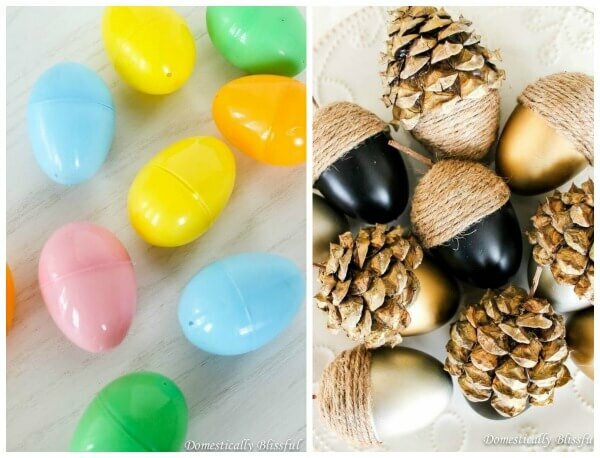 Love the acorn eggs and the spray painted bottles. Great ideas Brenda thanks so much for posting! There's an awful lot of creativity out there. Those eggs are adorable! These are such cute ideas! I love the candy corn bottles! Leaf prints. I need to try this one! I love that cute owl tree! Acorns are starting fall around here so I am keeping an eye out for them to add to my pinecones for my fall decor! Thank you for these great ideas! Oh this was a delightful post. 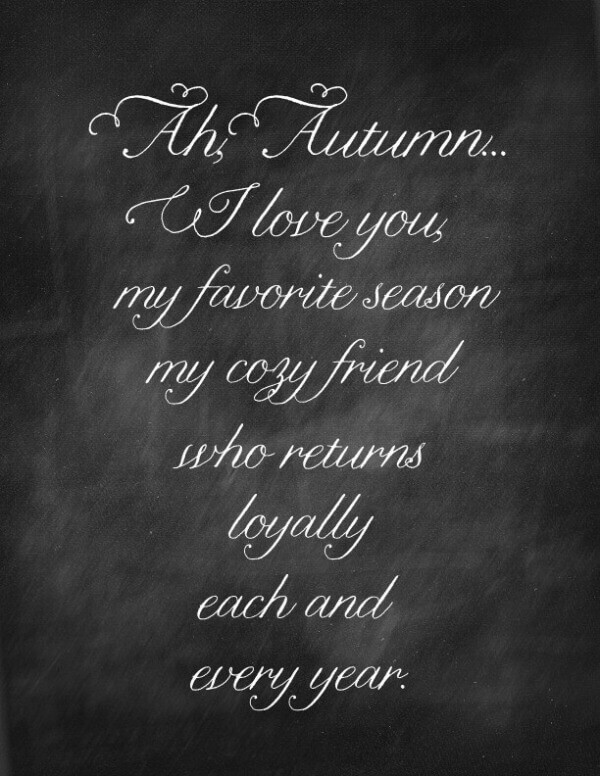 Thanks for these ideas which remind me it's time to decorate for fall. Since we just moved I have no idea where the little squirrels and owls are that I get out this time of year. Maybe I can come up with something new from these ideas and let my usual decorations wait until next year. So many fun ideas, Brenda! I love low-cost decorating!